Marketers, channeling their inner Maverick (Tom Cruise’s character in ‘Top Gun’) often find themselves thinking “I feel the need, the need for speed” but are plagued by internal speed bumps and stop signs. Little do they know that buried in Jeff Bezos’ annual shareholder letter is an approach for helping them accelerate marketing efforts, and navigate past internal road blocks. Working with hi-tech clients, I learned the necessity for quick execution. Pipelines must be filled, leads progressed and converted, and quotas achieved. IBM had two “mantras” when it came to accelerating marketing execution. The first was the rule of “70%” and the second was “Fail Fast.” Once you had roughly 70% o f what you needed (information, insight, etc.) to execute you then got into the market, letting the results refine your program and thus quickly course correcting. 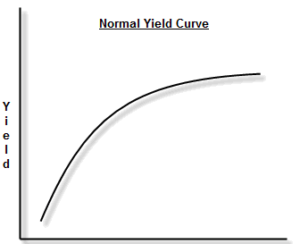 Built on the idea of the yield curve, the greatest gains in progress were made during the first 70% of effort, refining the remaining 30% being too costly and time consuming. “Failing fast” was built on the idea of quickly testing “concepts” or theories. If IBM wanted to experiment with something new or different it would construct tests to quickly measure results to either scale or kill the program. These two guide points have influenced my thinking over the many years. Bezos believes that there is no “one-size-fits-all” to decision making but rather “two-way doors” where decision can be reversed. Those decisions in his words use a “lightweight” process. It starts with what he phases as “disagree and commit.” Given the growing number of stakeholders in the decision-making process, could this be the secret marketers have been searching for to eliminate speed bumps? And Mr. Bezos knows a thing or two about flying fast. On the day he released his annual shareholder letter, Amazon stock closed over $900, up 50% over the year. Need any more proof that this “maverick” got it right?